Got the urge to get a snowmobile to fully enjoy the wonders of winter? We totally understand! Québec is a paradise for snowmobilers, with its many trails and spectacular scenery. But to ensure this experience meets your expectations, there are some key things to consider before you buy and ride your first snowmobile. You will find the main things you need to know in this article, from choosing the equipment that’s right for you to getting snowmobile insurance and understanding the obligations that go along with using your recreational vehicle. Have you started doing a little research and are you having trouble navigating all the models offered? That’s quite normal. Don’t worry—the good news is that the perfect snowmobile for you can surely be found in this huge selection. Just take the time to clearly determine your needs so you can find YOUR snowmobile. The first important thing to ask yourself is how you intend to use your future snowmobile. Solo or with a passenger? On or off trail? Long treks or short excursions? In competitions or rallies? The answers to questions like this can help steer you to the category that’s right for you. 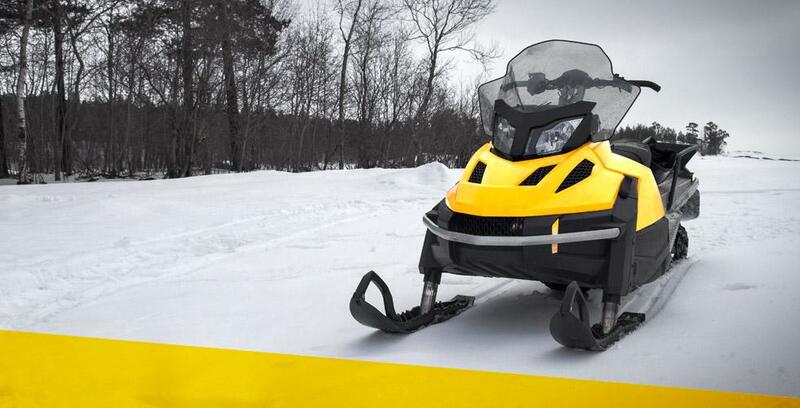 A snowmobile is still a major investment, and prices vary greatly from one model to another. What’s more, manufacturers offer a wide range of optional accessories. This means that your budget for purchase and maintenance is another factor to consider carefully. You also need to determine your priorities. Are they reliability and fuel economy? Will you be sensitive to the noise level of the engine? Is it the look or comfort that matters most? Do you want something powerful? This last question is particularly crucial, as it will significantly affect not only the price of the snowmobile itself, but also the price of maintenance and insurance. All these aspects to consider before you buy are linked. If you decide to use your snowmobile for simple rides, for example, there’s no need to invest in power! Once you’ve properly analyzed your needs and expectations, you can start shopping! Before you take out your wallet, we strongly recommend test driving. Be aware that dealers sometimes organize test drives open to the public. Learn more! You can also get valuable advice and compare models and prices in specialty shops. Be sure to take the opportunity to visit major recreational and motorized vehicle events. Every year, the RV Show in Québec City and Montréal attracts a large number of people who are considering buying a snowmobile. There is something for every taste and budget! To operate a snowmobile, you must first comply with certain legal obligations. To make an informed buying decision, it is therefore important to know the related responsibilities and costs. Trail permit – This is like your snowmobile licence. You can buy your trail permit from Fédération des clubs de motoneigistes du Québec (FCMQ). The annual cost is $300 to $400. You will also find a wealth of information on the FCMQ website, including a list of snowmobile clubs and an interactive map of trails in Québec. Be aware that if you cross public roads (when permitted) by snowmobile, you will also need a valid driver’s licence. Registration – You must register your snowmobile with Société de l’assurance automobile du Québec (SAAQ). You must attach the licence plate to the vehicle. Snowmobile insurance – The law also requires you to have at least $500,000 in liability insurance. To protect your snowmobile and ride the trails with peace of mind, you also need snowmobile insurance tailored to your needs. To choose the right coverage, contact a Promutuel Insurance damage insurance agent or request a quote online for snowmobile insurance. Helmet – Wearing a helmet is mandatory, and it’s really worth taking the time to choose one as carefully as you did your snowmobile! Age and speed limit – The minimum age for driving a snowmobile is 16 and the maximum speed limit is 70 km/h. In a nutshell, that’s what you need to know before you buy your first snowmobile. Now all you have to do is choose the perfect one and then, with all the necessary documents on you (proof of insurance, registration certificate, etc. ), enjoy everything winter has to offer. Happy shopping and happy riding!